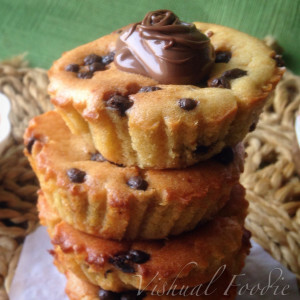 I love my desserts and usually they are sinful with an addition of eggs. Was looking at some alternative ingredients to bake a cupcake. 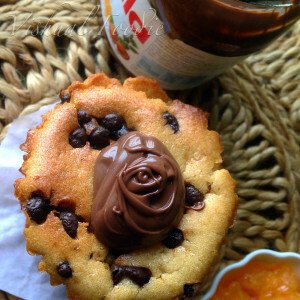 Browsing through the various talented bloggers in India, I found an interesting recipe by Priya Shiva. Eggless and wholewheat – not my preference but thought let me try atleast. Can give hubby an excuse that it’s healthy and still gorge on cake. 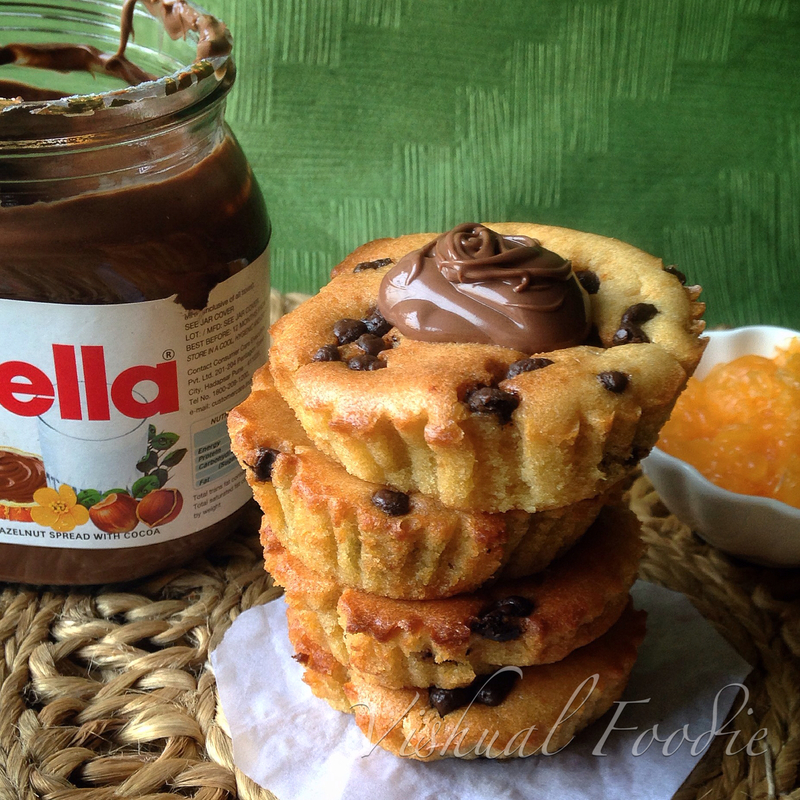 Presenting Wholewheat eggless orange cupcakes with Choco chips and topped with Nutella (yeah leave it me to make a healthy recipe overindulgent). 1) Peel oranges and remove the seeds. Make sure to juice it with some pulp and keep it aside. 2) Sieve wheat flour and keep it aside. 3) Add sugar, butter in a bowl and mix it well until sugar completely dissolves. Add milk and blend it well. 4) Now add all wheat flour, milk powder slowly to the mix and blend it well. Make sure there are no lumps in the batter. Add baking powder, baking soda, vanilla essence, salt and mix it well. 6) Preheat oven at 180 degree C.
7) Grease the cupcake cups with some oil evenly and add the batter to it. Fill each cup till 2/3 cup. 1) Juice oranges just before making cupcakes as fresh juices tend to get bitter if you keep them for a long time. 2) You can also add nuts and raisins to make this cupcake more healthy. 3) You can also add orange zest in place of vanilla essence.